It’s one of my most favorite times of the year: time for the Microsoft Imagine Cup World Finals! Imagine Cup is the global student technology program and competition that provides opportunities for students across all disciplines to team up and use their creativity, passion and knowledge of technology to create applications and games. Each year, the event is not only inspiring (seeing what these students across the globe develop is amazing!) but it’s also a ton of fun. Today we’re featuring Team EnCourage — Cole Bailey, Dominik Doerner, Rene Brandel, Tobias Roddiger – an international group of four computer science students studying at the Karlsruhe Institute of Technology in Germany. EnCourage is an innovative multi-platform smartphone application that anonymously broadcasts signals for help, immediately informs everyone in the local area about nearby emergency situations, and helps users coordinate and work toward de-escalating the situation at hand. Basically, it’s using crowdsourcing to get people who are nearby to come help in an emergency. The Team has been vigilant about garnering feedback for EnCourage, including working with the German police and other law enforcement professionals. In fact, their collaboration led to feedback and dialogue with people all over the world – including a South African looking to integrate EnCourage into their neighborhood watch program. 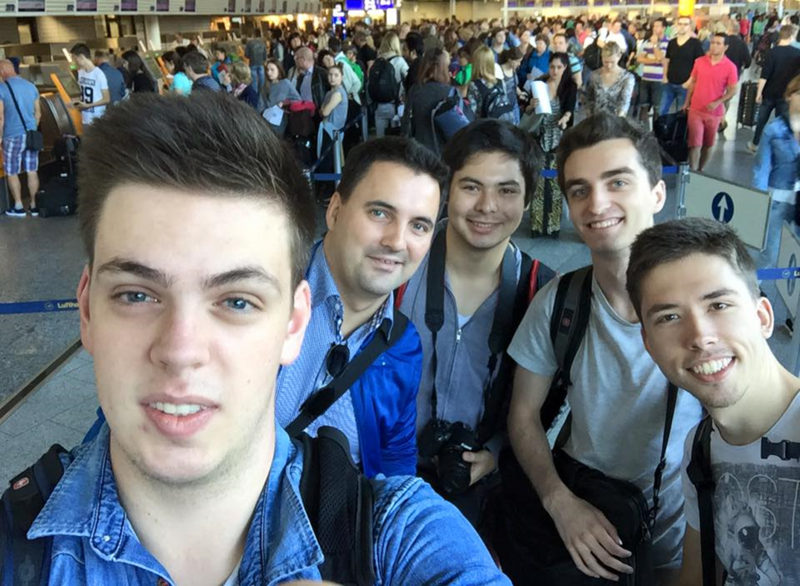 Here’s today’s Daily Edventure with Imagine Cup Finalists, Team EnCourage. Enjoy! This entry was posted in Imagine Cup, Information, People, Student Voice and tagged encourage, Germany, Imagine Cup. Bookmark the permalink.